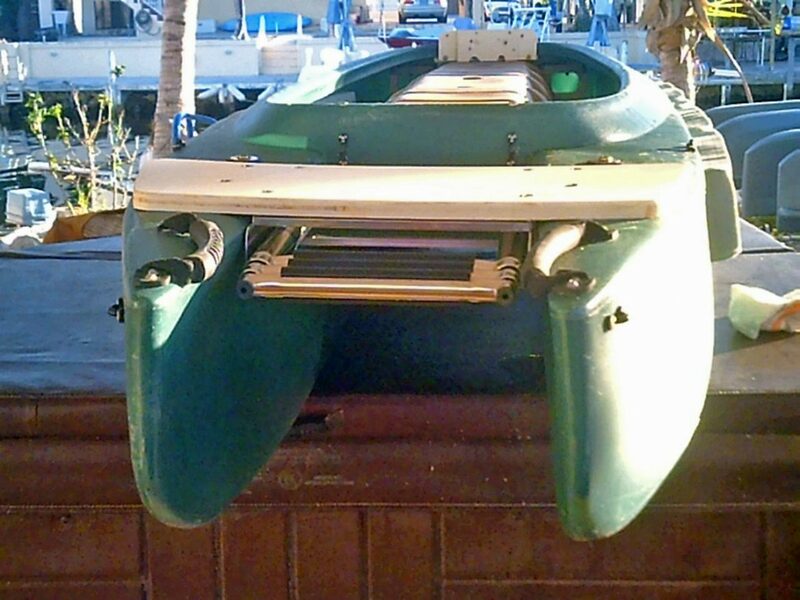 You can easily motorize your Wavewalk® kayak by outfitting it with either an electric motor or an outboard gas engine. We strongly recommend using long (20″) shaft motors and not short (15″) ones. Berny lives in the United Kingdom (UK), and he likes to fish and dive. He needed a small boat that could be motorized, yet be lightweight and easy to transport, and most of all, as seaworthy as it gets, and extremely stable. -“I have a 4 hp outboard on loan from my brother in law. Unfortunately, I have hit a few snags with it. Although it appears to be in good order, it does not run smoothly and needs to have the choke partially turned on to tick over. Also, I think it may be a bit on the heavy side so I think I will look for a 2 hp motor instead. As a result of these problems, I’ve not had a chance to test the kayak properly under power and now the winter has set in so I may put it on ice until the spring. 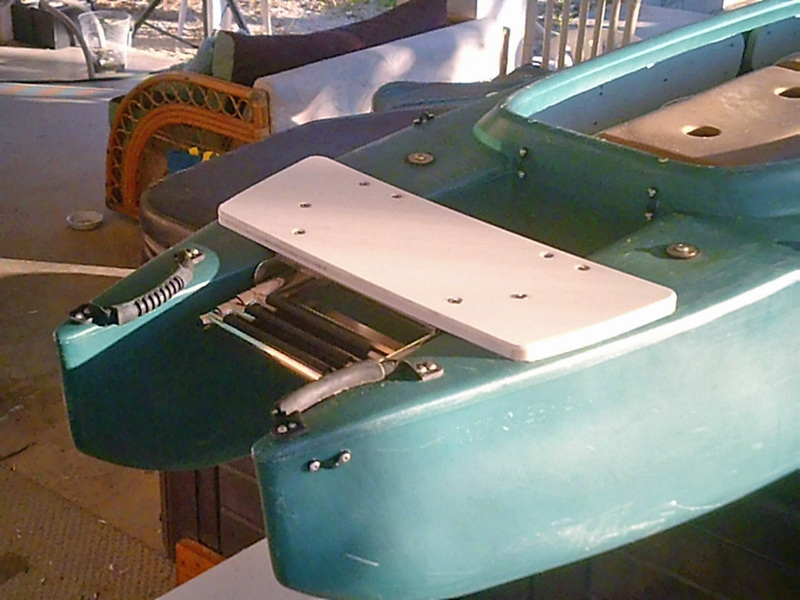 On the plus side, the tubular jointed construction is a great success and the craft is very rigid in the water. This page features links to over a hundred articles published on our website since 2004. Generally, the newest articles feature at the top of each section, and the oldest ones at the bottom. Some of these oldest articles can be a bit outdated. You can also search our entire website by using keywords in its ‘Search’ widgets. If you don’t find the information that you’re looking for, please don’t hesitate to contact us, and we’ll be happy to answer your questions. Fishing Kayak Reviews -What Do Wavewalk Users Say? 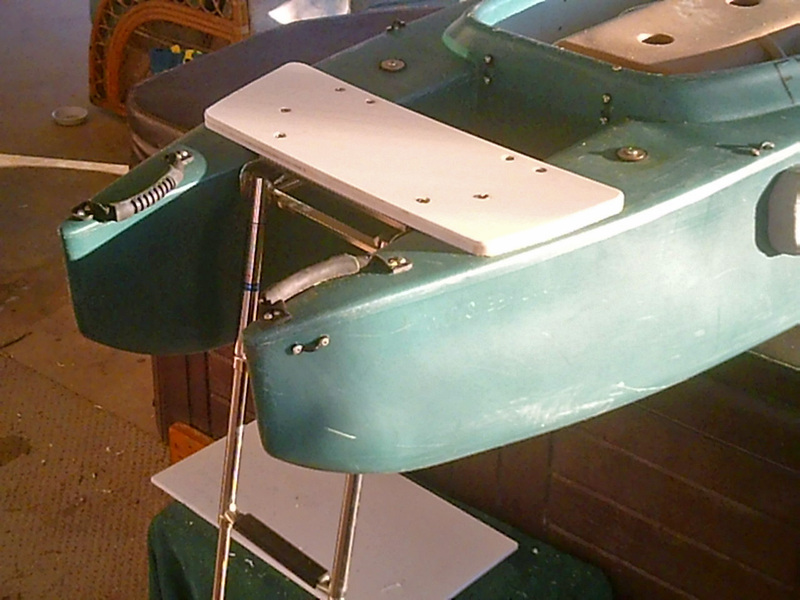 How Effective Can Fishing Kayaks’ Outriggers Be? How to measure an outboard motor’s propeller shaft length? 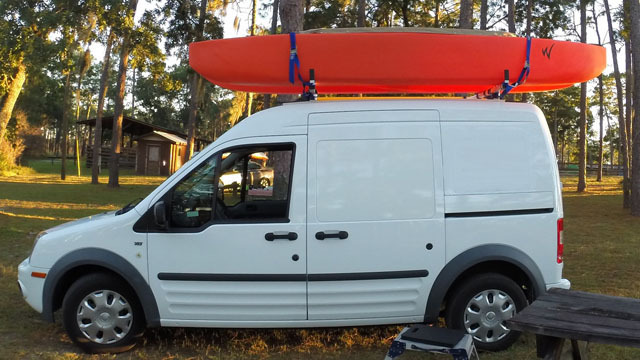 Storage: How Much Gear Can You Store Inside a Wavewalk 500 Fishing Kayak? Fishability – How Fishable Are Kayaks? Resting in Your Fishing Kayak – Don’t Fall Asleep! 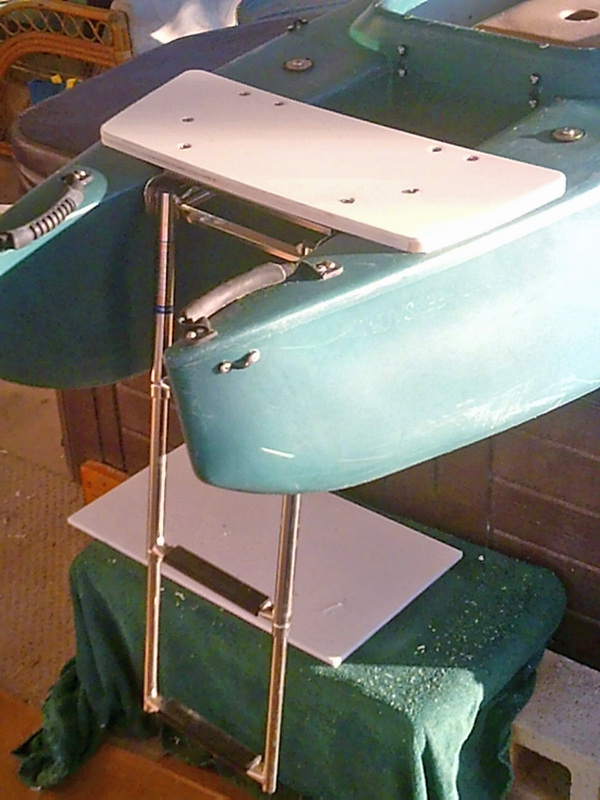 Rigging Your Wavewalk Kayak With a Milk Crate – Is it Necessary? This member of a South Korean fishing club seen here paddling the W500 kayak standing up, found a new, interesting way to reenter the cockpit from deep water.